Many in situ studies in transmission electron microscopes usually require specialized sample holders or complicated modifications to the microscope instrument itself. This is typically expensive and often time consuming in terms of measurements. 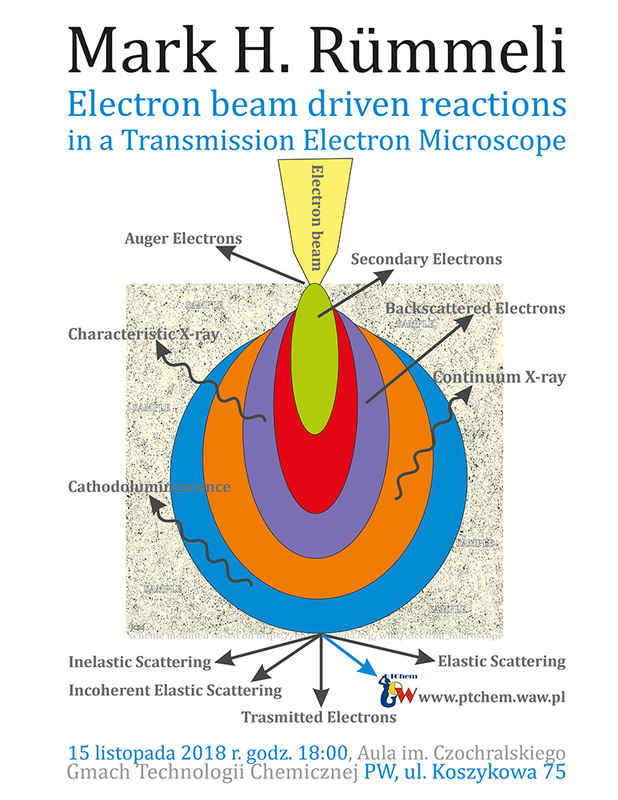 In this presentation I will show how the imaging electron beam driven can be used to drive reactions and electron beam engineering without the need for any additional holders or instrument modification. Techniques to fabricate and manipulate nano-materials will be presented. In addition, approaches to look at structure-property relationships of graphene devices, which, can be both fabricated and examined in-situ in a TEM will be shown. Professor Mark H Rümmeli completed his PhD at London Metropolitan University in plasma physics and analytical chemistry. After this he spent several years working in the United States and the West Indies developing e-learning platforms for university education systems in the West Indies. Subsequent to this he joined the Stratospheric Observatory for Infrared Astronomy (SOFIA) a joint research collaboration between the German Space Agency (DLR) and the National Aeronautics and Space Administration (NASA) as a EU training and mobility research fellow where he worked on local solid state laser sources for the SOFIA heterodyne spectrometer. He then joined the Leibniz Institute for Solid State and Materials Science, in Germany, where he was responsible for founding the Molecular Nanostructures Group which he still oversees at present as a guest professor. The group works heavily with van der Waals layered materials (e.g. graphene) to understand the synthesis of such materials and their application in bio-medical scenarios (e.g. drug delivery). 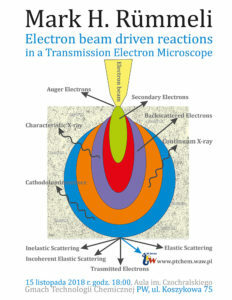 The group is also a leader in the development of electron beam induced chemistry in electron microscopes. He then worked in the Republic of South Korea as a professor in the Department of Energy Science at Sungkyunkwan University. While in the aforementioned role, he was concurrently appointed as the founder of the Structural Analysis Group within the Korean Institute of Basic Science where he helped establish the electron microscopy research facilities for the institute. Now he works at the Soochow Institute for Energy & Materials InnovationS (SIEMIS), at Soochow University, in China. Again, he helped establish the electron microscopy facilities as well as the institutes characterization centre. Professor Rummeli has been conducting his research in Poland for 4 last years. 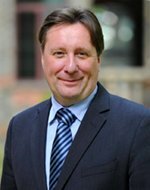 He heads a nano-sensor laboratory and a Li-ion battery laboratory at the Center of Polymer and Carbon Materials (CMPW), Polish Academy of Sciences. Currently Prof. Rummeli is a supervisor of 2 PhD students at CMPW PAN within the OPUS project focused on in-situ electron microscopy studies of nanomaterials for energy storage and electronics. Professor Rummeli collaborates globally with many outstanding research universities and institutes such as: Peking University, the University of Oxford, NASA Ames Research Laboratories, Wuhan University, Cornell University, Samsung Advanced Institute of Technology (SAIT) among others. To date, Professor Mark H. Rümmeli has published over 310 peer reviewed scientific papers with many appearing in leading journals such as Science and Nature Nanotechnology. He has authored or co-authored various books and book chapters. He is also on several editorial boards for peer reviewed chemistry and materials journals. He sits on numerous international conference committees. He was awarded an Honorary Doctor of Science by London Metropolitan University for his research services and he has also been awarded various research prizes, including from the IFF institute at the Leibniz IFW and 100 Talents (China). He is a Fellow of the Institute for Materials, Minerals and Mining and a Fellow of the Royal Society of Chemistry in the UK. He is also a Chartered Scientist and Physicist in UK through the Institute of Physics. Prof. Rummeli’s areas of interest are the synthesis of nano-materials (mainly 2D materials), nano-bio application, nano-materials in ion insertion batteries and finally electron beam driven materials science. A common aspect of much of the work is to explore ways to correlate structure – property relationships, for example, 2D nanostructures with respect to their electrical properties or biological cell response with respect to nanomaterial type, size and morphology.